What, why, or how? Stuff we get asked a lot. What is the complimentary speed upgrade all about? We launched a 1Gbps plan, and introduced new retail subscription fees for our 100Mbps and 500Mbps TIME Fibre Home Broadband plans. We want to make sure that our existing subscribers (before 7 October 2018) get to enjoy these new higher speed plans so you’ve been automatically upgraded! You get to enjoy your new speed at the lower retail price or continue to pay your current subscription fee, whichever is lower. On top of that, there are no changes to your contract term. Thank you for sticking with us and we hope you’ll have lots of fun with your new speeds. *Astro IPTV subscribers: The complimentary speed upgrades are not currently available for Astro IPTV subscriptions, but we are continuously working with our partners to provide you with better plans. If you have further queries, kindly contact Astro Customer Service. **TIME Fibre Business Internet subscribers: The automatic speed upgrade and price adjustment is not currently available, but we are working very hard to improve the services we deliver to you. Please stay tuned. I have subscribed to TIME Fibre Home Broadband but my service has not been activated yet. Am I eligible? Of course you are! We’ll get you set up on the plan that you’ve subscribed to on the installation date you’ve chosen. Within a week of activation, you too will be upgraded. If you’ve selected the 12-month contract option, however, you will be required to make the payment of the one-time charge of RM300 by 7th October 2018 in order to receive your upgrade. How do I know if my speed has been upgraded? We’ll send you an email and text message once it’s done, and you can log in to Self Care to view your updated subscription information. You can also perform a speed test here. We always recommend performing a speed test by connecting your desktop or laptop computer to your router using a CAT-5e LAN cable, as you may not be able to achieve full speeds over WiFi. Click here to learn how you can have the best experience over WiFi. I’ve checked but it doesn’t look like my speed has been upgraded. What do I do? Please try restarting your router and performing another speed test. We always recommend performing a speed test by connecting your desktop or laptop computer to your router using a CAT-5e LAN cable, as you may not be able to achieve full speeds over WiFi. Click here to learn how you can have the best experience over WiFi. If nothing works, please get in touch with us at 1800 18 1818 or cs@time.com.my and our Support Ninjas will be at your service. Will my current TIME-provided router be able to deliver the new speed I have been upgraded to? Our TP-Link AC1200 and D-Link DIR-882 routers are capable of delivering speeds of up to 1Gbps over a wired connection, and up to 500Mbps over WiFi. Will all my devices be compatible with these speeds? Newer desktop and laptop computers that come with a Gigabit Ethernet (GE) port are capable of reaching speeds beyond 100Mbps (as opposed to Fast Ethernet ports) over a wired connection. Most wireless devices in the market, however, are not yet capable of reaching speeds beyond 500Mbps. The bright side is that they’re more than capable of handling your online activities. Click here to check out how most of these devices typically perform in a household. For more tips on making the most of your broadband speed, check out TIME Hacks. If you’ve been with us for at least 12 months and we have not upgraded your router during this time, you’re eligible for a complimentary upgrade now. Don’t worry if you do not fulfill this criteria, you’re still able to purchase a new router at a subsidised price. You can head to Self Care to complete your request for either option. When will I be getting the new subscription fees? The new subscription fees will be reflected in bills that are issued from 15 October 2018 onwards. Can I upgrade or downgrade my plan if I want something else? Yes, you can modify your plan on Self Care, but any discounts you may currently be enjoying will not be carried over to your new plan. Please refer to the table below for more details. Note: The free router option for any plan upgrade is only available to subscriptions of at least 12 months. I have subscribed to TIME Fibre Home Broadband but my service has not been activated yet. Do I have the option of upgrading or downgrading my current plan? Your service will be installed and activated at the speed you have subscribed to, and it will be upgraded no later than a week after. Once that’s done, you can change your plan on Self Care. Your broadband connection is influenced by many factors, including device compatibility and whether you’re using a WiFi or wired connection. Download our guide to learn more and to troubleshoot your connection easily. What do the lights on my router indicate? For more details about what your router lights indicate, click here. My router is not capable of supporting my subscribed speed. How do I purchase a new one? If you’ve been with us for at least 12 months and we have not upgraded your router during this time, you’re eligible for a complimentary upgrade now. Don’t worry if you do not fulfill this criteria, you’re still able to purchase a new router at a subsided price. You can head to Self Care to complete your request for either option. Will all my devices be compatible with 1Gbps? For more tips on making the most of your broadband speed, check out here. How do I change my WiFi setting/password? If you can't find the router model in the table above , get in touch with our support ninjas at 1 800 18 1818 for further assistance. What TIME Fibre Home Broadband plans can I choose from? You can subscribe to these plans through our authorised dealers or via our online platform here. Is TIME Fibre Home Broadband available where I live? As much as we'd love to serve all Malaysians with the broadband they deserve, our service is currently available in multi-dwelling units (i.e. condominiums) in the Klang Valley, Penang and Johor. Head on to our coverage search here to find out if yours has been brought up to speed. What can I do if TIME Fibre Home Broadband is not yet available where I live? Let us know here or ask your JMB to get in touch with us via our hotline 1 800 18 1818 or cs@time.com.my, and we'll take it into account in our coverage expansion planning. How do I switch to TIME? 1. Contact your current broadband provider to start the termination process. 2. Be mindful of any penalties incurred if your termination is within the contract period. 3. Now you can get on your new speeds with us here! Keep up with the progress of your application here. Check your installation date here or get in touch with us at 1 800 18 1818 or cs@time.com.my. Our support ninjas will give you the updates you need. TIME Rewards is our way of rewarding and thanking you for staying with us, with surprise rewards up for grabs on the 15th of every month via TIME Self Care. How does TIME Rewards work? Log in to TIME Self Care on the 15th of the month to grab your share. Rewards are available on a first-come, first-served basis, so act fast before they are fully grabbed. Please note that each customer is only eligible for one reward each year. Once the reward has been successfully grabbed, it will be saved under “Rewards” page. Be sure to redeem your rewards at participating outlets before the voucher expires! Am I eligible to participate in TIME Rewards programme? You will need to be an active TIME Fibre Home Broadband subscriber with a TIME Self Care account to be eligible to participate in TIME Rewards. If you do not have a TIME Self Care account, do register here. When will the rewards be up for grabs? The rewards will be up for grabs on the 15th of every month, but it is only valid for customers who have not grabbed their reward this year. Log in to TIME Self Care early on that day to ensure you do not miss the reward. I missed the reward this month. Can I claim my reward next month? You are eligible to claim the reward, provided that you have not claimed any reward yet this year. Can I transfer my reward to someone else? The reward claimed is non-transferable. You are required to present your reward voucher at participating merchant’s outlet for redemption and validation. My reward voucher was not accepted or redeemable at the participating merchant’s outlet. What should I do? You may contact our Support Ninjas at 1800-18-1818 for assistance. RM100 off the first bill for online subscriptions at www.time.com.my. What is the promo period? The promo is valid from 1 February 2017 until further notice, so sign up while it lasts! Who is eligible for this promo? Anyone who signs up online at www.time.com.my during the promo period. How will I know if I get RM100 off my bill? You will see the amount discounted in your first bill. For more details, go to T&C > Promotions and select the TIME Fibre Home Broadband RM100 Online Promotion tab. What is this rebate about? We are going to rebate the Goods and Services Tax (GST) charged for TIME Fibre Home Broadband and TIME Fibre Business Internet for new registrations in your June bill. Are you implementing 0 rated GST earlier than the mandated date of 1 June 2018 by the Government? No, we are not. GST is still chargeable for your subscription until 31 May 2018 but we figured you’d enjoy the additional pocket money! New registrations to either TIME Fibre Home Broadband or TIME Fibre Business Internet during the rebate period. When is this rebate available? The rebate applies to all new TIME Fibre Home Broadband and TIME Fibre Business Internet registrations from 16 May 2018 to 31 May 2018 and activated before 31 May 2018. What charges do this rebate apply to? All charges and service fees that are subject to GST will be rebated. Simply put, we are going to pay the GST charges for you! Please note that the RM300 deposit required of non-Malaysians is not subject to GST, therefore no rebate will be given for this item. In your May statement, you will see all charges inclusive of the standard 6% GST. You will still need to pay the full amount inclusive of GST. We will rebate the GST amount in your June bill so it is as good as us paying it for you! What about upfront payments e.g. OTC of RM300? Do I still need to pay GST amounting to RM18 for that? Since OTC is charged upfront, you will need to pay the GST amount. Once the service is activated and the bill is generated, we will rebate this amount along with all other GST charges. What happens on 1 June 2018? As announced by the Government, the GST rate will be reduced from 6% to 0% (“zero-rating”) for all of our services. Is TIME available at my home? What can I do to get TIME coverage in my area? I live in a landed property. When will TIME Fibre Home Broadband be available to me? We'd love to serve all Malaysians with the broadband they deserve, but currently we're not able to cover landed property. For the latest updates, follow our FB page at www.fb.com/timeinternet. My JMB has already gotten in touch with you and given you the green light. Why aren't you here yet? It typically takes about 6 months to extend our coverage. Please bear with us while we work on delivering our service to you. If there hasn't been an update, get your JMB to drop us an email at cs@time.com.my with your building name and details of their last communication with us and we'll look into it. The condominium next to mine has TIME coverage; when will mine be fibered? While we would love to serve all condominiums, at times we are unable to gain access for various reasons. Do ask your JMB to get in touch with us at 1 800 18 1818 or cs@time.com.my and we will take it from there. How do I subscribe to TIME Fibre Home Broadband? What fees do I need to pay if I decide to subscribe? Fully refundable upon service cancellation, provided there is no outstanding balance in your account. Waived if you select the 12-month contract option. This fee is non-refundable and will be collected upfront in order to complete your subscription. Of course! You can modify your plan in the Account Info section in Self Care. An upgrade/downgrade is determined by the change in your subscription fee. Are there any charges for upgrading or downgrading my plan? There are no penalty charges for plan modifications, but any discounts you may currently be enjoying will not be carried over to your new plan. Yes, you can. To make a request, contact us at 1800 18 1818 or cs@time.com.my. Is there any fee incurred for relocation? Yes, however, a termination during your contract term is subject to a penalty of RM500. Contact us at 1800 18 1818 or cs@time.com.my. We will send you a service termination form, which you will have to complete and return to the same email address. Please note that we require a one (1) month termination notice. How long does it take for TIME to terminate my subscription? Can I choose my installation date? You can choose your installation date when you sign up online. How do I know my chosen installation appointment date and time has been confirmed? You will receive an email stating your installation date and time. An SMS will also be sent to you a day before your installation date. Can I reschedule my installation appointment date and time? You can change your installation appointment and even track the progress of your application here. Who will carry out my installation?  A TIME authorised installer will carry out the installation. We will supply an Optical Network Unit (ONU), a WiFi router and installation services. We provide basic cabling services of up to 20 metres from point-of-entry ie. main door (6 metres from the socket for buildings with pre-laid fibre) to the location you have designated for your equipment (e.g. router).Should relocation be required in the future, charges will apply based on the cabling material and manpower required. Additional charges may apply for requests beyond the basic cabling services we provide depending on your requirements. Please ask for the approved rate card to confirm cost to be incurred (if any), which are payable directly to the TIME-appointed installer. Can I appoint my own contractor to perform internal wiring? Yes, however, we recommend that only TIME-authorised installers perform any installation-related work to ensure that they are completed properly and to the highest level of quality. All costs incurred are payable directly to the TIME-appointed installer. Will there be any drilling involved during the installation process? Yes, some drilling may be necessary, but we will request your prior approval. Can I request TIME’s authorised installer to configure / provide IT support services for my own router or equipment that is not provided by TIME? Yes. This is chargeable at RM80 per hour up to a maximum of RM300 per day, and is payable directly to the TIME-appointed installer. How long does it take for TIME to install and activate my service? Installation can take 2 to 4 hours depending on the type of unit you live in. The installation process involves a site survey, ducting, piping, electrical work, equipment configuration and testing. What type of equipment does TIME provide with my subscription? We provide an Optical Network Unit (ONU) and a WiFi router with every subscription. Self Care allows you to manage your account and subscribed service(s) online. You can also download our TIME App from Google Playstore or Apple App Store. What can I do on Self Care? How do I register for Self Care? vi. Click register and you’re done! What is my Self Care username? Your default Username is your MyKad or passport number. This cannot be changed. I'm an eBill subscriber. Where do I check and download my itemised bills? Log in to Self Care and go to > Bills in the dropdown menu. Click on the Download button to download your bill. I have multiple accounts. How do I view all of them? Log in to Self Care, go to the Account Number panel on the right and click to select the account you want to view from a dropdown menu. Log in to Self Care, go to View Profile on the top right > Change Password. We recommend that you do this every 3 months. Click the 'Forgot Password?' link on the Self Care login page. You will need to enter your Account Number and your MyKad / Passport number to receive a temporary password via email. I have reset my password but why haven’t I received an email with my temporary password? 1800 18 1818 or cs@time.com.my for assistance. I have received my temporary password. What should I do next? Access Self Care using your Username and temporary password. Once logged in, change your password immediately. All TIME Home broadband subscribers who already have their service activated will be eligible for this programme. This programme is valid from 29 September 2017 until further notice, so start referring your family and friends while it lasts! You would have received an email from us with a unique link. Simply share this link with your family and friends and ensure that they sign up with us via the link provided in order to enjoy the bill discount. If you have not received any email from us, you could also retrieve your unique link by logging into your Self Care and head over to Rewards > Hook Up & Earn. What do I get if I successfully refer a friend? For every successful referral, you will get a RM100 bill discount which will offset your monthly recurring broadband charges. Your friend’s service has to be activated to be considered a successful referral and the bill discount will be reflected in your next bill. Is there a limit to the number of friends that I can refer? There is no limit to the number of friends that you can refer, so you can refer as many friends as you want. If I have successfully referred 3 friends this month, do I get RM300 bill discount in my next bill? This depends on your monthly recurring broadband charges. If your monthly recurring broadband charges is less than RM300, the bill discount balance will be brought forward to the subsequent bill statement. Would I know whether my friend has signed up with TIME? You will receive an email notification once your friend successfully signs up to TIME Home Broadband. You will receive another email notification once your friend’s service has been successfully activated. When will the RM100 discount be reflected in my bill statement? It depends on when you will receive your monthly bill statement and when your friend’s service gets activated. The RM100 bill discount may take up to 45 days to be reflected in your bill statement. To check the status of your referrals, login to your Self Care and head over to Rewards > Hook Up & Earn > Referral Status. What happens if I terminate my subscription? Once your subscription is terminated, you will not be able to continue enjoying the bill discounts. All discounts from new referrals or any discount balance brought forward from the previous bill will be forfeited. I submitted a referral through TIME Self Care portal on 1 September 2017 but my friend’s service is only activated on 5 October 2017. Do I enjoy RM100 cash reward or RM100 bill discount? As long as you have submitted your referral before 3 October 2017, you will still get your RM100 cash reward. Only referrals made from 3 October 2017 onwards will be eligible for a bill discount. What is Service Tax and when will it be implemented? As announced by the Ministry of Finance, the Sales and Service Tax (SST) replaces the Goods and Services Tax (GST) effective 1 September 2018. Governed by the Sales Tax Act 2018 and the Service Tax Act 2018, the Sales Tax is imposed on a variety of goods while the Service Tax is imposed on selected service providers, including telecommunication services. What TIME services will I be taxed on? TIME is a Service Tax-registered business under the Service Tax Act 2018. This means that all services delivered by TIME will be charged 6% Service Tax unless otherwise stated. How will Service Tax affect my bills? The Service Tax takes effect from 1 September 2018 onwards. All TIME services including broadband, voice or data delivered after this date will be charged a standard rate of 6% Service Tax. If the effective date of Service Tax implementation falls within your billing period, then any charges that are subject to 0% GST will be pro-rated up to 31 August 2018. I don’t understand my September bill. How do I read it? For a clearer understanding of your bill, please click here. My bill should have been delivered by 31 August 2018 but I’ve yet to receive it. When will I get my bill? We apologise for the delay. We are in the midst of updating our systems to cater to the new Service Tax and are working to get your bill to you soonest we can. My bill for the month of September was delivered but I’ve not been charged the 6% Service Tax. Am I exempted from the charges? All charges that are subject to 0% GST will be pro-rated up to 31 August 2018. The 6% Service Tax adjustment for services delivered on or after 1 September 2018 will be made in your next bill. Depending on your bill cycle, some customers may receive two bills at the same time. The first is an Interim Bill that caters to charges up to 31 August 2018 that are subject to 0% GST. The second bill caters for charges from 1 September 2018 onwards that are subject to 6% Service Tax. Who can I speak to if I have questions regarding the new Service Tax implementation? For more information, do contact us at cs@time.com.my or 1800-18-1818. Alternatively, you may visit the Royal Malaysian Customs Department’s website for a full list of FAQs regarding the 6% Service Tax. Why is my amount payable on Self Care and TIME App showing a different amount? Which amount should I be paying? We apologise for the confusion. The amount reflected is the amount credited due to the Service Tax adjustment exercise. The actual charges will be reflected accordingly in your September bill. What are the available billing methods? i. eBill: Sent to your email. ii. Paper bill (RM5 per month): Sent to your mailing address. This depends on your billing cycle and that's determined after your service is activated. You may notice pro-rated charges in your first bill. What charges will appear on my bill? Your monthly bill will include your broadband subscription fee, voice service usage charges and subscription fee(s) for other value-added service(s), if any. I've received my first bill. Why is my payment amount higher than my monthly subscription fee? Please click here for all available payment methods. Is there a TIME branch for me to make payment? While we don't have a physical branch for payments, you can register for Self Care to view your bills and make quick and easy online payments. For all other payment methods, click here. My line is suspended but I've made my payment. How long will it take to restore my service? Payment via Self Care Within an hour. Other payment methods Within 24 hours. Otherwise, please get in touch with us at 1 800 18 1818 or cs@time.com.my. Auto Debit is a service that automatically debits your monthly payments to a registered debit/credit card on a recurring basis. What do I get if I register for Auto Debit? When you register for Auto Debit, you receive a monthly RM2 rebate off your bills. What types of cards are accepted for Auto Debit? We accept Visa and MasterCard debit/credit cards. For debit cards, do ensure to liaise with your issuing bank to enable Auto Debit facilities. Please note that we are unable to perform Card-Not-Present (CNP) transactions on HSBC and Standard Chartered debit cards. How do I register for Auto Debit? You can register for Auto Debit either at the point of subscription to our services or, if you are already a TIME customer, simply log in to your Self Care account and register for Auto Debit under the Billing tab. Why am I being charged RM1 to register my debit/credit card for Auto Debit? The RM1 is charged to your card to verify that your debit/credit card is active and that you are the cardholder. In the case of credit cards, the amount is not charged to your card and won’t be reflected in your statement. For debit cards, you will see a RM1 deduction from your account that will be reimbursed to you within two weeks. Do I have to pay my outstanding balance in order to apply for Auto Debit? Yes, any outstanding balance will have to be cleared in order to complete your Auto Debit registration. If you would like to make payment for your outstanding balance using another method, you can have a look at this list of available payment methods. Once you’ve made payment for your outstanding balance, you can try again to register for Auto Debit on Self Care. Is it safe to register for Auto Debit? Yes, in fact, it is one of the safest ways to make payment. Information is stored in a Payment Card Industry – Data Security Standard (PCI – DSS) certified data centre. Each payment also goes through a 3D Secure check which adds a layer of authentication for online payments. You will see this as Verified by Visa and MasterCard SecureCode. Must I be the card owner of the card being used to register for Auto Debit? As long as the card owner has given consent and registration of the card passes the 3D Secure check, you’ll be able to do so. How do I know if my Auto Debit registration was successful? Upon successful registration, we’ll send an email to the email address you have registered with us. When will you start charging my debit/credit card? When you’ve successfully registered for Auto Debit, payments will be charged to your debit/credit card from the next bill cycle onwards. When will the Auto Debit deduction take place? Depending on your bill cycle, the Auto Debit deduction will be made before the due date of your bill. What do I do if I want to change my debit/credit card details or I want to cancel my Auto Debit registration? 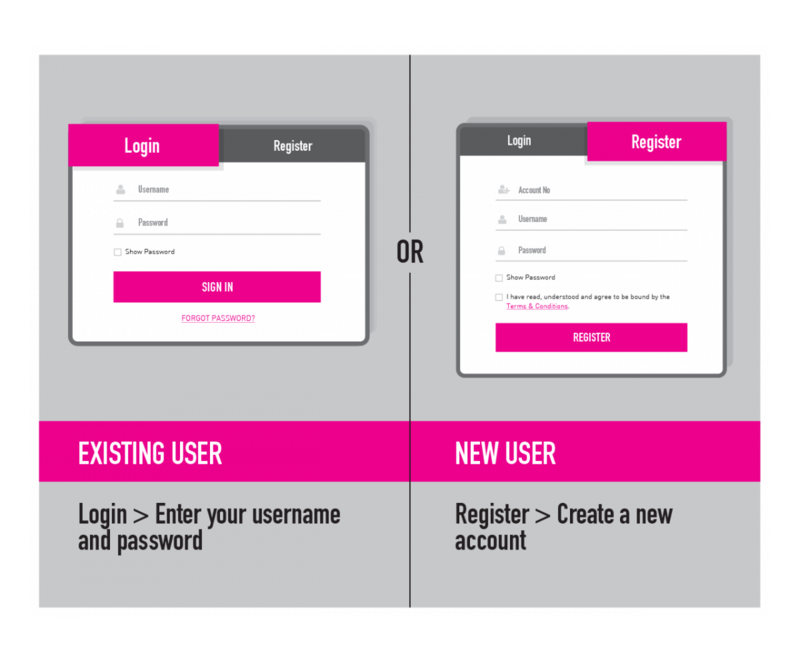 Just log in to Self Care and you’ll be able to make any changes to the debit/credit card you’ve registered for Auto Debit. If you cancel your Auto Debit registration, you won’t be able to enjoy the monthly RM2 rebates anymore. You can make payment through any of the other available payment methods. What happens if an Auto Debit transaction fails? What can I do? Please check with your issuing bank to determine the issue. In the meantime, we recommend you make payment through the other available payment methods to avoid service interruption. When will the re-rating of GST to 0% take effect and how will it affect my bills? The re-rating of GST to 0% takes effect from 1 June 2018 onwards. This means any charges up to 31 May 2018 will continue to be charged at 6% GST while charges after that date is subject to 0% GST. If the effective date of the re-rating of GST falls within your billing period, then any charges that are subject to 6% GST will be pro-rated up to 31 May 2018. I received my bill for the month of June in May and I’ve been charged GST at 6%. Should I make payment and will I get a rebate? You will still have to make full payment based on the total amount in your bill. Any charges that are subject to 6% GST will be pro-rated up to 31 May 2018. The 6% GST adjustment for charges from 1 June 2018 onwards will be given to you in your next bill. My bill should have been delivered by now but I’ve yet to receive it. When will I get my bill? We apologise for the delay. We are in the midst of updating our systems to cater to the new GST rate and are working to get your bill to you soonest we can. Am I able to configure parental controls on the WiFi router provided by TIME? Yes. The parental controls feature is built into any router we provide. You can access step-by-step guidelines to configure parental controls by clicking on the router model you are currently using. Does TIME Fibre Home Broadband come bundled with a voice service? Yes. By default, you get the TIME Voice Home Basic plan that is a pay-as-you-use plan. You also have the option to upgrade to TIME Voice Home Lite or TIME Voice Home Max. What are the differences between TIME Voice Home Basic, TIME Voice Home Lite and TIME Voice Home Max? No entitlement of free minutes. 30 free minutes entitlement monthly: Valid for calls to all fixed and mobile numbers nationwide, as well as IDD calls to 60 countries. Your entitlement will be refreshed on a monthly basis and any unutilised minutes will be forfeited. 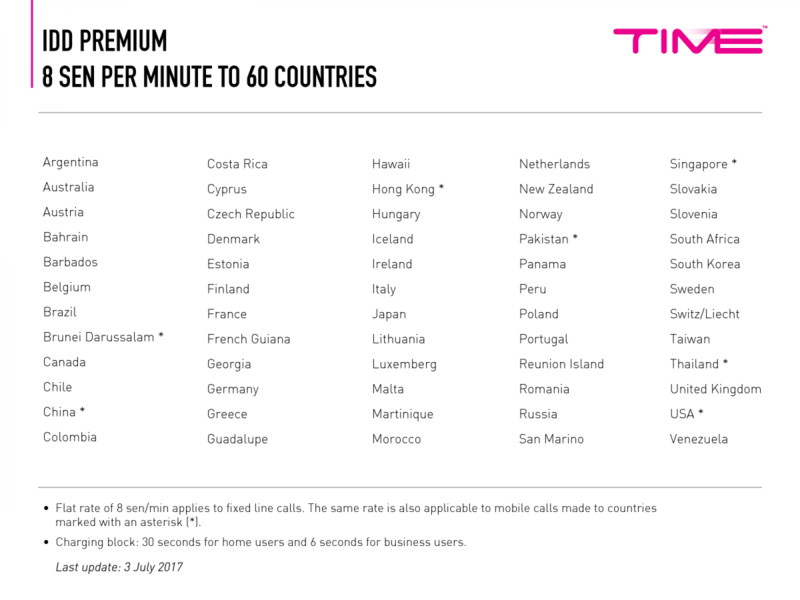 300 free minutes entitlement monthly: Valid for calls to all fixed and mobile numbers nationwide, as well as IDD calls to 60 countries. Your entitlement will be refreshed on a monthly basis and any unutilised minutes will be forfeited. 10 sen per minute for all domestic calls (fixed and mobile) and 8 sen per minute for IDD calls to 60 countries. Upon full utilisation of 30 free minutes: 10 sen per minute for all domestic calls (fixed and mobile) and 8 sen per minute for IDD calls to 60 countries. Upon full utilisation of 300 free minutes: 10 sen per minute for all domestic calls (fixed and mobile) and 8 sen per minute for IDD calls to 60 countries. No contract term. 24 months. 24 months. A 24-month contract term applies when upgrading from a TIME Voice Home Basic plan to either the TIME Voice Home Lite plan or TIME Voice Home Max plan. No change to contract term if you upgrade to TIME Voice Home Max. Downgrading to TIME Voice Home Basic will incur a one-time penalty amounting to the value of the remainder of your contract term. Downgrading to TIME Voice Home Lite or TIME Voice Home Basic will incur a one-time penalty amounting to the value of the remainder of your contract term. Entitlement of free minutes is renewable monthly and cannot be carried forward. Normal call rates apply upon full utilisation of free minutes. Full list of IDD call rates here. How do I change my TIME Voice plan? You can change your TIME Voice Home Basic plan by selecting either TIME Voice Home Lite or TIME Voice Home Max at the point of subscription. If you want to make changes to your TIME Voice plan after subscription, just call our Support Ninjas at 1800 18 1818. Do note that calls will be charged at the latest prevailing call rates if you change your TIME Voice plan post-subscription. Can I subscribe to an additional voice line? Yes, you can subscribe to additional voice lines at no additional cost other than the prevailing call rates of the plan you choose to subscribe to. A maximum of two (2) voice lines is allowed per account. I want to subscribe to an additional voice line. Do I purchase my own phone and perform the setup myself? If your initial voice line is a TIME Voice Home Basic plan and you subscribe to either TIME Voice Home Lite or TIME Voice Home Max as an additional line, you’ll receive a free DECT phone. However, if your initial voice plan is either a TIME Voice Home Lite or TIME Voice Home Max, then no additional DECT phone will be provided. To set up, simply connect your phone cable to the TEL 2 port at the back of your Optical Network Unit (ONU). You can do so after you receive a notification email from us that your new voice line is activated. What is TIME Home Forward? TIME Home Forward is a mobile app that complements your TIME Voice subscription. Same call rates no matter where you are. Accessible on six (6) Android/iOS devices. To access TIME Home Forward on more than six (6) devices, please call our Support Ninjas at 1800 18 1818. What is the minimum system requirement to download TIME Home Forward on my device? Your device must be operating on Android 2.3.3 or iOS 8.0 or newer. Can anyone download and use TIME Home Forward? The app is only available for TIME Fibre Home Broadband subscribers who have a TIME Voice line. A unique QR code is required to activate the service. Step 1. Download TIME Home Forward from the App Store or Play Store. Step 2. Log in to Self Care to retrieve the QR code to activate the app. Step 3. Once you’re logged in, go to Account > Account Info and select TIME Voice Home under Subscribed Services. Click the Generate QR Code button, then launch the app and scan the new QR code to activate your service. Are there additional fees to use TIME Home Forward? The app can be downloaded free-of-charge but all calls made via the app are chargeable at the prevailing call rates of your TIME Voice service. I have more than one device. How do I activate TIME Home Forward on these devices? Each device requires its own unique QR code, which can be generated on Self Care. Once you’re logged in, go to Account > Account Info and select TIME Voice Home under the Subscribed Services. Click the Generate QR Code button, then launch the app and scan the new QR code to activate your service. Do note that you’re only able to connect up to six (6) devices to TIME Home Forward. I have changed my phone. How do I log in to TIME Home Forward? You need to retrieve a new QR code on Self Care. Once you’re logged in, go to Account > Account Info and select TIME Voice Home under the Subscribed Services. Click the Generate QR Code button, then launch the app and scan the new QR code to activate your service. Do note that you’re only able to connect up to six (6) devices to TIME Home Forward. In the unfortunate event of a lost or stolen phone, call our Support Ninjas at 1800 18 1818 to deactivate your account. What happens if the equipment provided by TIME becomes faulty, damaged or lost during my contract period? Is there a warranty period for the equipment provided by TIME? What type of WiFi router do you provide? We provide TP-Link Archer C1200 and D-Link DIR-882 router options. Both routers comply with the latest 802.11ac WiFi standard, are dual-band capable and can deliver higher speeds over WiFi. Click here for tips on how you can have the best experience over WiFi. It is a device that broadcasts your WiFi signal by acting as multiple “router” points throughout your home to form a wider, single WiFi network. You won’t experience a drop in connection when you move from one room to another as it automatically connects you to the strongest WiFi point. If your WiFi signal from your router is unable to reach certain areas of your home, the WiFi Booster is able to assist in expanding your WiFi network. Do I have to connect the WiFi Booster to a TIME Fibre Home Broadband connection in order to use it? The device can be used with any Internet connection. However, you must be a TIME Fibre Home Broadband subscriber to purchase the WiFi Booster. Which router is this device compatible with? The WiFi Booster is compatible with TIME-issued routers and most other standard routers. How do I buy a WiFi Booster? i. If you are an existing subscriber, you can buy via Self Care. ii. If you are thinking of subscribing, you can buy during the online subscription process or via our dealers. The Mesh Dual Pack (with two pre-paired units) is priced at RM520. If you need additional units, they are priced at RM299 per unit or RM520 for the Mesh Dual Pack. Yes. It comes with a 2-year warranty that starts from the date of purchase. What is the minimum number of units required to set up the WiFi Booster network? A minimum of two (2) units is required. If you need additional units for more coverage, you may buy up to a maximum of three (3) more units per subscriber. My WiFi Booster doesn’t seem to be working. What can I do? You can try restarting or pairing your WiFi Booster again. You can refer to our downloadable PDF Guide for instructions. If you encounter further problems with your device, please contact our Support Ninjas at 1800 18 1818. Free installation is provided when you buy the WiFi Booster during your subscription process with TIME. Self-installation is simple and can be completed within 5-10 minutes. You can refer to our downloadable PDF Guide for instructions. Who is entitled for upgrades to the new TIME Fibre Home Broadband plans? Everyone who has an active service as of 22 March 2016 has been automatically upgraded to speeds of up to ten times faster than before. There are no changes to your subscription fees and contract term for as long as you hold on to the plan you’ve got. I signed up before 23 March 2016 but my service hasn’t been activated. Am I entitled to the speed upgrade? Yes! We will automatically configure the speed you are entitled to when we install and activate your service on your installation date. What speed upgrade am I entitled to? How do you decide which speed to upgrade me to? We have moved you up to the plan that has a retail price that is the closest match to your current subscription fee. Is there any change to my contract period with this upgrade? No, your contract period and value-added services (if any) remain unchanged. I was previously on TIME Fibre 100Mbps Home Broadband with a 100GB quota. Is this still applicable? You’ve been upgraded to our 300Mbps plan with absolutely no quota restriction! What happens to my Boost feature? We’ve given you outrageous broadband speeds at no quota so you don’t even need Boost anymore! Login to the TIME Self Care Portal to view your updated profile or perform a speed test here. Please try restarting your router and performing a speed test here. It's always best to perform a speed test by connecting your desktop or laptop computer to your router using a LAN cable, as you may not be able to achieve full speeds over WiFi. Click here to learn how you can have the best experience over WiFi. What router should I use to have the best experience over WiFi? We’ve done the research for you and recommend a D-Link DIR-850L or Linksys EA6350 router. Both comply with the latest 802.11ac WiFi standard, are dual-band capable and can deliver higher speeds over WiFi. Click here to learn how you can have the best experience over WiFi. Do you provide me with a new router? We offer you the option to purchase one of the routers above via the ‘Account’ tab in the TIME Self Care Portal. Can I upgrade or downgrade my plan again after doing so once? Yes you can. The table below illustrates what happens if you do.